Gallery Walk & Talk at Girard - The Junior League of Boston, Inc.
On a perfect evening in May, Girard opened its shared penthouse and outdoor terrace to members and friends of the Junior League of Boston for an evening that showcased the beauty of art and culture in the South End – a Gallery Walk & Talk, shared over wine and hors d’ouevres. Girard, a new 160-unit luxury apartment building in Boston’s South End, is home to 12 on-site galleries featuring unique pieces from Boston-area artists, graphic designers, and craftspersons. 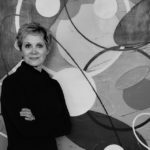 Guests had the pleasure of hearing local female artist, Christine Vaillancourt, speak about her paintings currently on display. Additionally, Peter Roth, founder of New Atlantic Development, shared the inspiration and innovation behind the Girard building and gallery space. And JL Boston capped off the evening by speaking to the impactful work its JLB Arts program is making in the community teaching young women life skills through exposure to arts-related disciplines. Peter Roth started New Atlantic Development after gaining a wealth of experience in community development, housing and adaptive re-use. Trained at MIT in architecture and real estate development, he has national experience in the area of industrial redevelopment, and has focused most recently on urban mixed-income housing and adaptive re-use. 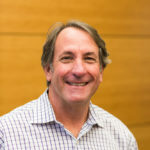 In addition to his development activity, Peter Roth teaches in the Master’s degree program in Real Estate Development at MIT, and serves on the Board of Directors of several non-profit organizations. He is the currently chair of the Boston Preservation Alliance, a non-profit education and advocacy organization committed to preserving Boston’s unique sense of place. JL Boston Arts is a structured group-mentoring program that explores the arts with fifth grade girls. The project provides exposure and hands-on access to different art-related disciplines, including performing arts, visual arts, culinary arts, and design, with the goal of encouraging creativity and self-expression, promoting teamwork, and developing a sense of positive self-worth and confidence. This program was launched in 2000, and features an evidence-based curriculum developed internally by JL Boston volunteers. It is held at two locations — the Boston Renaissance Charter School (BRCS) in Hyde Park and JL Boston Headquarters.